However, Quick Launch hasn't been completely removed. If you want, you can restore and use it in Windows 10. Unfortunately, it is not so easy for a novice user. The procedure involves several steps. Let's review them. Quick Launch has a more customizable appearance; you can easily put any shortcut or folder there. You can change their icons, have multiple rows of icons if you make the taskbar larger, and save overall space on the taskbar. 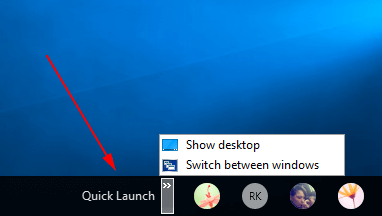 To enable Quick Launch in Windows 10, do the following. Right click on an empty space of the taskbar. In the menu, select 'Toolbars -> New Toolbar...'. In the 'Choose a folder' dialog, go to the folder C:\Users\YOUR USER NAME\AppData\Roaming\Microsoft\Internet Explorer\Quick Launch. Tip: You can save your time. Just copy-paste the text shell:Quick Launch into the 'Folder' text box in the dialog above and then press Enter. See the list of Shell commands in Windows 10 for reference. The Quick Launch toolbar is now added to the taskbar. By default, it is locked to the right side of the taskbar and has a title. Here is how you can customize it. 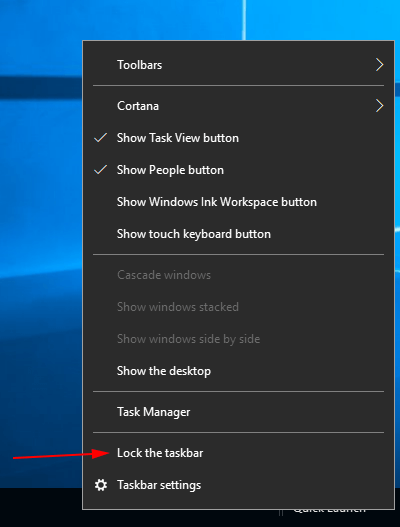 Right click on the taskbar and untick the item 'Lock the taskbar'. 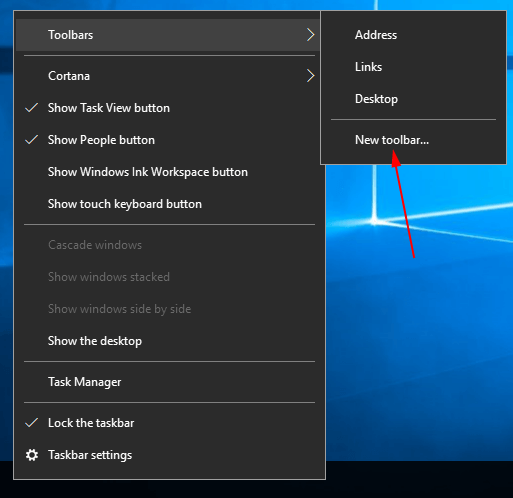 drag the Quick Launch toolbar from the right to the left, using the dotted bar which appears after your have unlocked the taskbar. Drag all the way to the left of any pinned icons you may have. That's it. 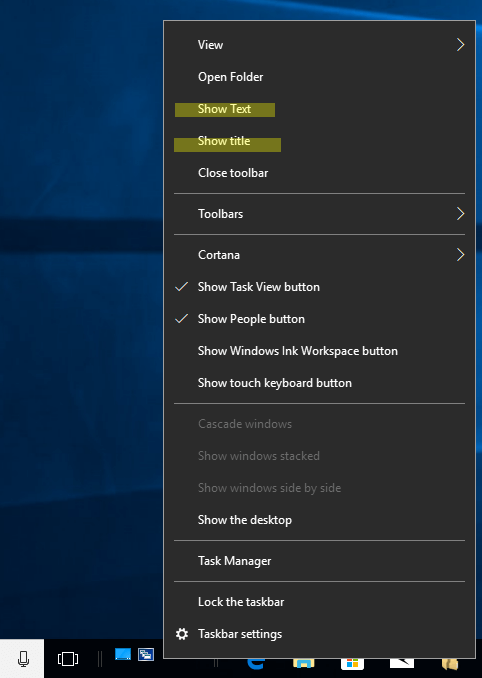 Now you have the Quick Launch toolbar with the classic look enabled in Windows 10. 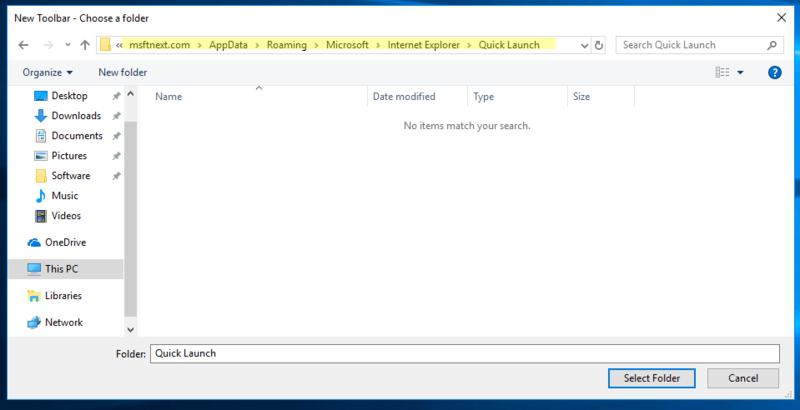 The Quick Launch toolbar is the classic feature of the taskbar in Windows. This useful toolbar was first introduced with Windows 95 OSR 2.5 and disabled in Windows 7. You can re-enable it in Windows 10.